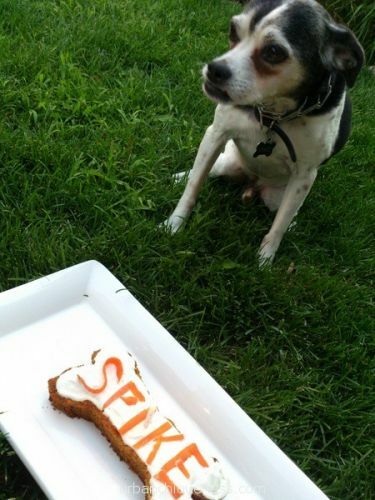 The recipe is dog friendly and it is super simple to bake. 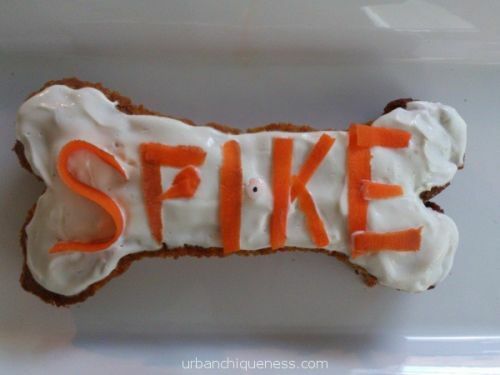 A perfect way to add a touch of “Chique” to your canine’s special day. I actually substituted greek yogurt instead of cottage cheese for the frosting this time. 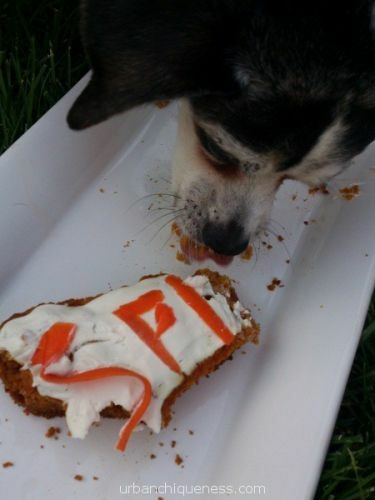 Of course, he shared it with his brother Snoopy and it was gone in mere moments. 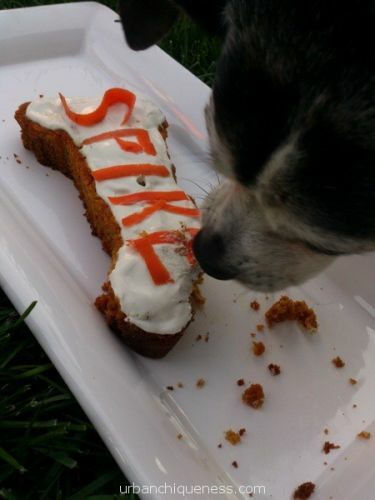 Spike may be over the hill, but he is young in spirit. 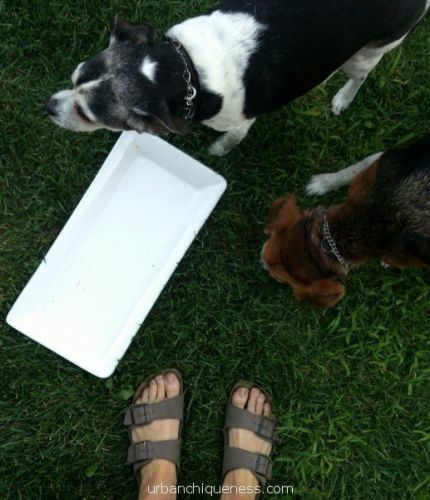 He will always hold a special place in our hearts as he was our first born furry child. Cheers to 14 more “Chique” years Spikey, we love you. 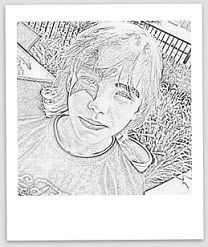 Happy Birthday ‘Ole boy! Looks like a great celebration! I am glad you have a quick camera because that cake disappeared in a flash! 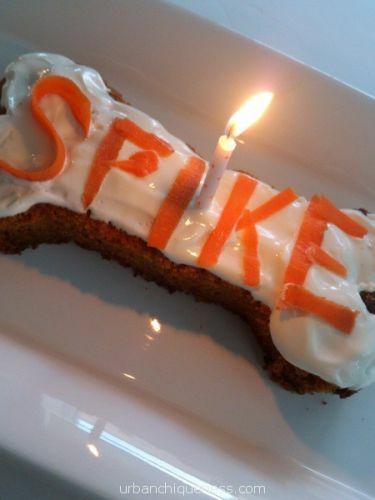 Happy birthday Spike. You look great after all these years.